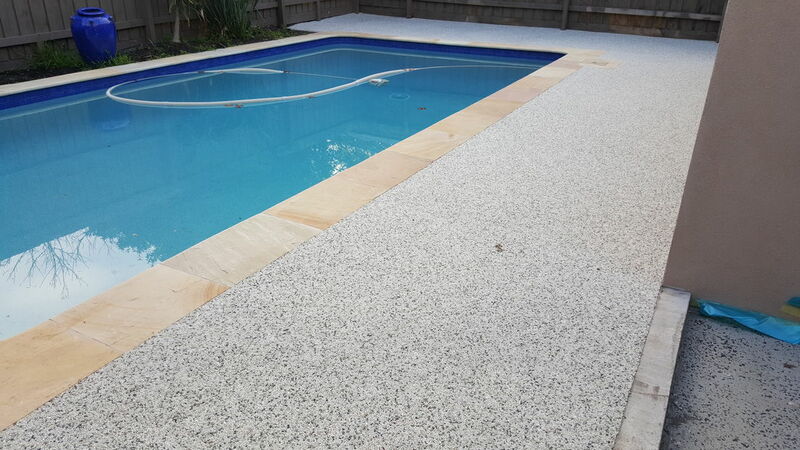 Whether you are renovating or building your dream home, our range of spray on concrete, stone resurfacing coatings or Epoxy Coatings will complement any style or design. 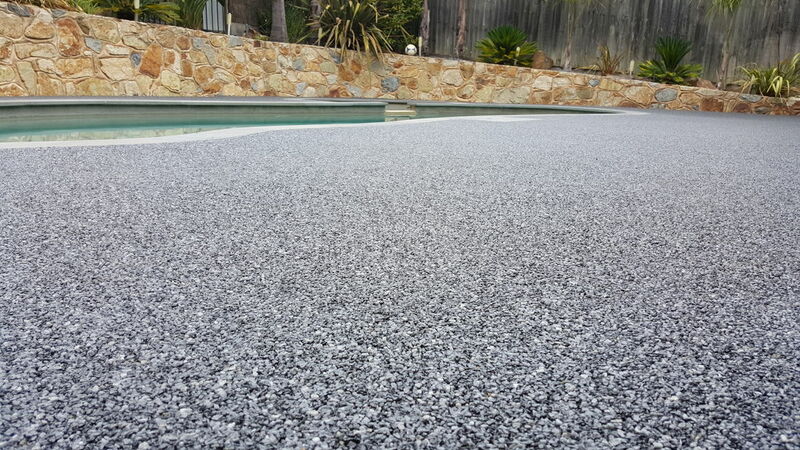 Resurface your new or old concrete with one of our anti slip spray on concrete, Stone Paving or Epoxy Coatings in Melbourne Victoria. Stone Paving offers a bold stone finish for resurfacing both interior living & exterior enviroments, such as driveways, carparks, courtyards, footpaths and alfresco areas. Our unique stone / binder technology provides exceptional load bearing strength and flexability making it the ideal system for both new paving and resurfacing tired existing concrete, asphalt, pavers or even tiles as an overlay. 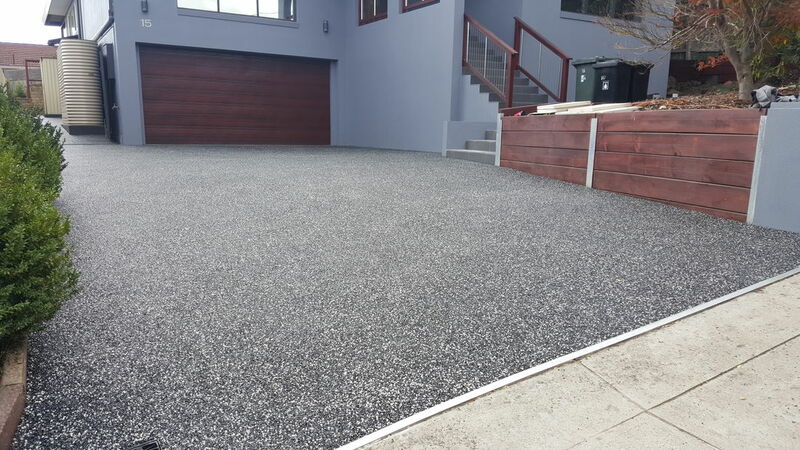 It is an ideal system for brand new paving either as a full depth permeable pavements or as a hybrid pavement used in conjunction with a concrete base for a seamless, high sheen, contemporary looking finish. Stone Paving is available in a wide variety of natural, river washed and contemporary coloured tones to offer the right look for all architectural styles. Further design effects can be achieved through combining shapes, borders, colours and introducing other materials such as glass or marble. Any interior / exterior space calling for a design with a difference will benefit from Stone Paving as a practical and durable alternative to tiles, carpet, timber flooring and all forms of concrete paving available, including exposed aggregate. Our team at Spray on Professionals offer a high level of service that is unmatched by most in the marketplace.